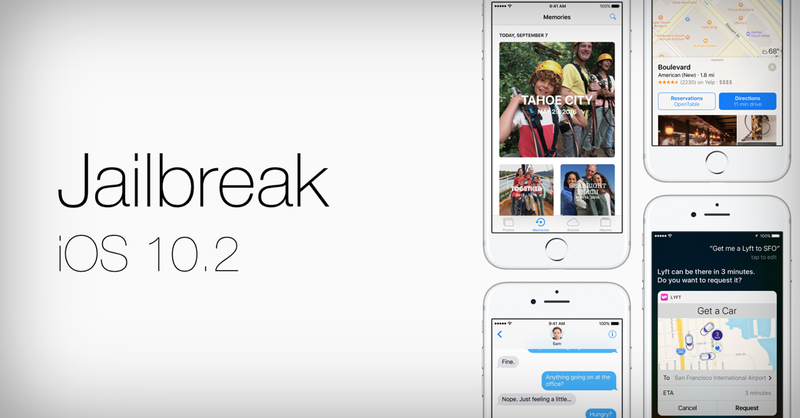 Here’s how you can jailbreak iOS 10.2 on compatible iPhone and iPad devices using Yalu102. Keep in mind that this jailbreak is currently in beta, therefore do not try it if you are a non-developer. Earlier today, it came to light that the iOS 10.2 jailbreak source code has been posted over at GitHub. It was only a matter of time someone packaged a wonderful little IPA file for anyone to utilize on their compatible device. Now though, we have Yalu102 at hand, straight from Luca Tudesco, a neatly packaged IPA file allowing you to jailbreak your compatible device on iOS 10.2. Currently, the iPhone 7 and iPhone 7 Plus aren’t supported at all. But of course, down the road, support might be added for the aforementioned devices in an update to Yalu jailbreak. Just like the previous Yalu jailbreak, this one is semi-untethered as well, which means you have to re-jailbreak your device every time you reboot. Not exactly convenient, but hey, how many times we tend to reboot our devices anyway, right? Last but not the least, this jailbreak is currently in beta. This means there are a lot of compatibility related issues, lots of stuff is going to be broken, and of course, performance related issues may arise. A device running iOS 10.2. If you are on iOS 10.2.1, you can downgrade right now by following this guide: Downgrade iOS 10.2.1 to iOS 10.2 Right Now. Cydia Impactor for your Windows PC or Mac from here. Download Yalu102 IPA from this link. Download the latest version of iTunes from Apple’s website. Make sure Touch ID & Passcode is disabled on your device. Navigate to Settings > Touch ID & Passcode to disable. Turn off Find My iPhone (Settings > iCloud > Find My iPhone) as well as Bluetooth. A complete backup of your device in case something goes wrong. 1. Connect your compatible iOS device with your computer using a USB cable. 2. Launch Cydia Impactor on your PC or Mac and drag the Yalu102 IPA file onto it. Click on Start once done. 3. You will be required to enter your Apple ID. Enter it when prompted for it then follow the on-screen prompts. 4. Once the process is complete, remove the USB cable and navigate to Settings > General > Device Management on your iOS device and Trust the certificate available there. If everything went smoothly then you should see a Cydia logo on the home screen. This is confirmation that your device is indeed jailbroken now.